This morning I pulled out a small box of treasures from a shelf in my closet. Cherished remembrances of friends, events, family, loves and experiences are packed tight and bound with ribbon. Old letters, cards, photographs, journals, postcards and stamps from far away places, poems and notes scribbled on random pieces of paper conjure memories from the past. Wading through my box filled with vignettes of my history, I cannot help but revisit myself. One of my favorite words to describe the feelings I have as I leaf through my letters is saudade. There’s no direct translation in English but this Portuguese word refers to a deep sense of nostalgia and melancholy. To have saudades expresses a soulful longing for someone, some place or something no longer with you. I often have saudades for many things–places, people and moments–but one thing in particular that I have saudades for is the art and tactile nature of handwritten communication. My soul longs for the days when correspondence was written conversationally — receiving a letter in the mail and then answering it in return. One of the most endearing treasures that I’ve read is The Griffin and Sabine Trilogy. 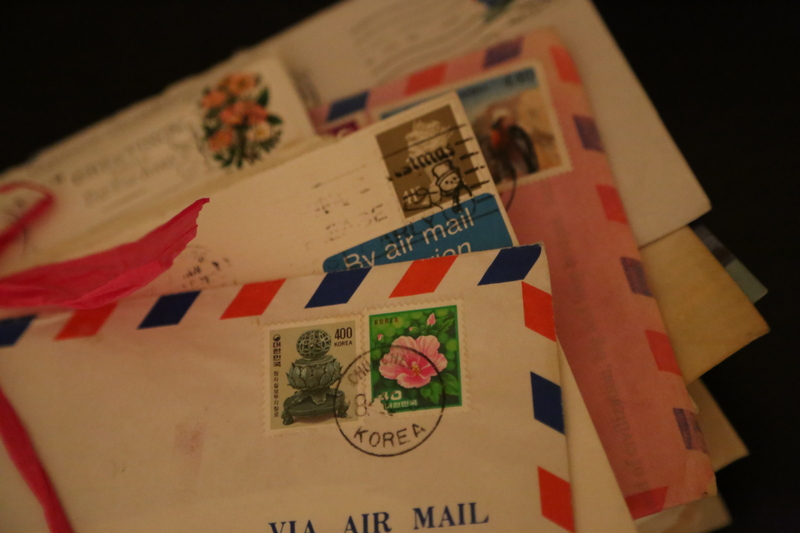 It’s a series of correspondence between two people who live across the world from each other. All the correspondence is printed as if it were in its original form. As readers we see extraordinary illustrations, exotic stamps and their post cards. In order to read their letters, we must remove them from envelopes within the book. This experience is both exciting yet surreal and gives the reader the seemingly mischievous adventure of going through another person’s mail. I must admit, when I receive the mail every day there’s still a small part of me that hopes to find the weight, the look and the feel of a lovely envelope with personal handwriting. If you were born after 1980, the idea of corresponding by hand or shopping for the right stationery to write and post a letter might seem foreign or bizarre. Given the opportunity, I’d describe to you the pleasure I receive in choosing the right stationery—thick or thin, stiff or soft, rough or smooth, cotton or linen, tinted or ivory, clean-cut or deckle-edged—to compliment my sentiments. If you were with me, I’d have you use your thumb, index and middle fingers to slide back and forth across the edge of the paper to feel its weight and thickness. And finally, I’d encourage you to inhale its clean and crisp aroma. As you might notice, I love paper. More so, I love a handwritten letter, but I’m no Luddite. Technology is wonderful and critical. However, to express oneself, an emotion or tell a story in a handwritten letter challenges us not only to be creative, but also vulnerable, opening a window to the soul that cyber communication can never do. So I keep my box of stationery close by, ready to write when I can. I receive fewer handwritten letters every year. I savor and value each of them. Like an old tree, my saudades grow with time — the longings deeply rooted in my soul. In this digital age, I wonder what will fill my son’s “box of memories”. I decide it is time for me to make a contribution. I reach for my pen and stationery, and begin to write a letter. 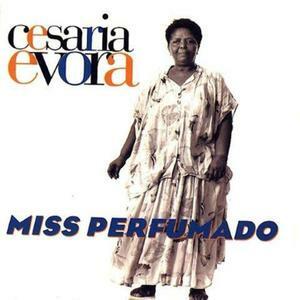 I’ve always love that song by Ms. Evora. I just never took that extra step to find out what the song was about. Thanks, now I love it even more. You’re welcome. It’s a beautiful song. I’m glad I could help make the link.